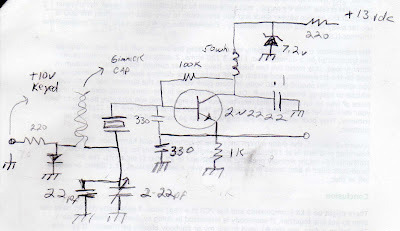 Here is "gimmick capacitor" in a simple oscillator circuit. Bill over at Soldersmoke is playing with FSK keyed QRSS. This is an old post explaining about "gimmick" capacitors compared to today where he is using an LED as a varicap in a different QRSS rig.